Sushil Kumar Nayak from Bhubaneswar, B.E. - B.Tech Graduate. Sushil Kumar Nayak is Mechanical Engineer and currently have no work experience. CATIA UNIGRAFICS NX CREO PRODUCTION MANUFACTUEING PROCES..
are one of expert skill area's of Sushil Kumar Nayak . 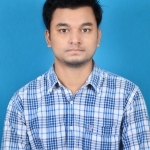 Sushil Kumar Nayak is working in Production/Manufacturing/Maintenance industry.